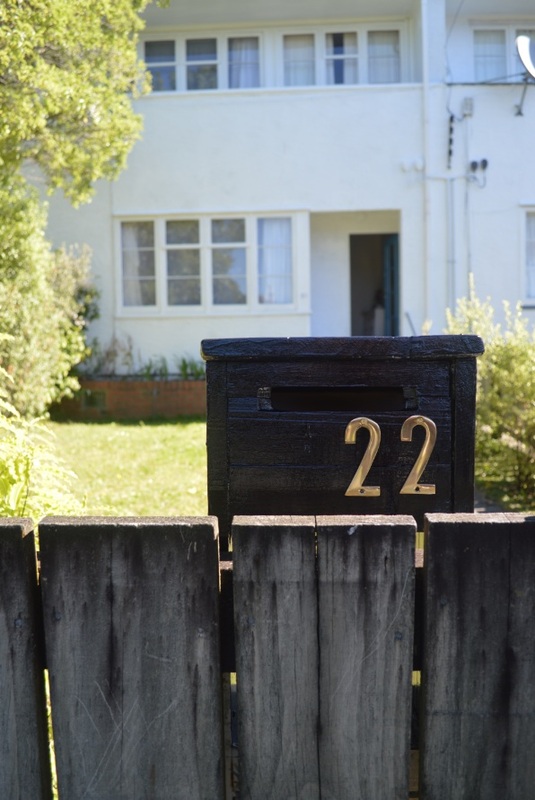 A miserable piece of work that makes our humble abode (which is nice inside but pretty simple on the outside due to being part of a block of units) look that much more like a shabby, neglected 1940's flat. And obviously we can't have that. (The bottom shelf had also come apart, which my dad-in-law kindly fixed for us while we were away this past week). 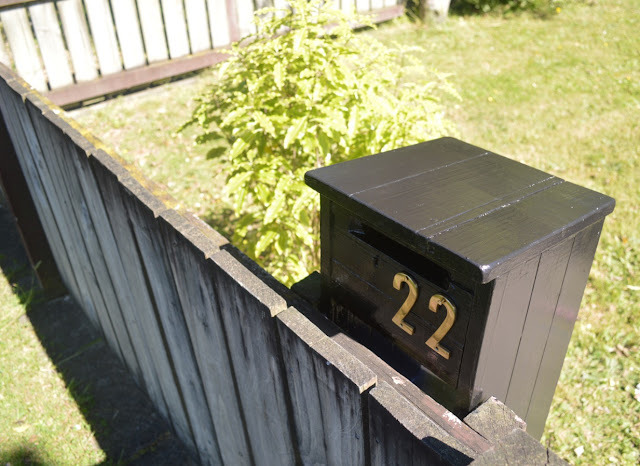 As soon as we arrived back from our week overseas we spent the day doing all kinds of blitzing on the yard - the husband did weed-eating and waterblasting out back while I slathered black glossy paint all over the letterbox and attempted to screw golden letters into it. I say attempted because I only managed to get the top screws in - the rest is for someone who knows his way around a power drill. Since moving in here we have planted trees down the sides of the fence which will form a hedge at some point, and done some work on the little garden under the window. Next up I'd love to paint the front door to match, and stain the fence. But that may have to wait until more pressing jobs are completed (the patio out back, the bedroom, etc). It's projects like these I love the most: simple, almost-free, and all over in an hour or so. Would you paint your front door black? If not, what colour would you choose? Yes!! Couldn't agree with you more!! 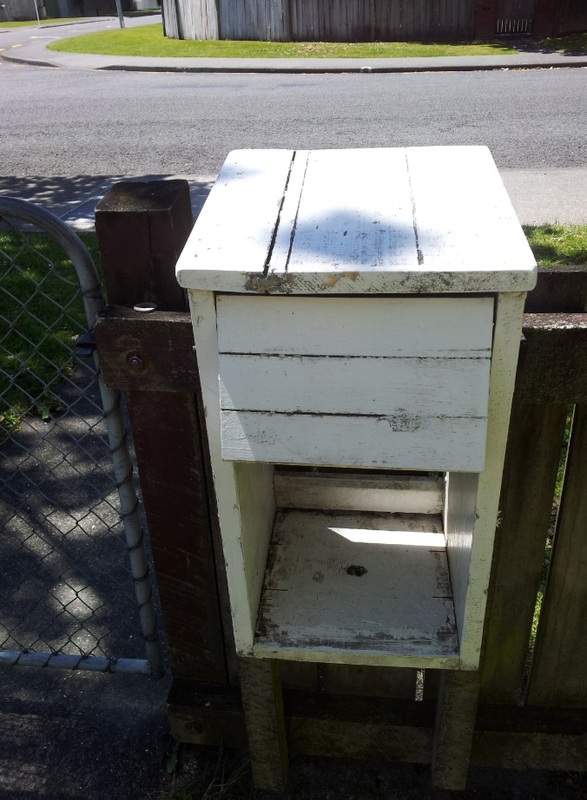 It really is those small little projects that so often make the biggest difference for us. I think once we do them we realize how much it really was bothering us before we did. 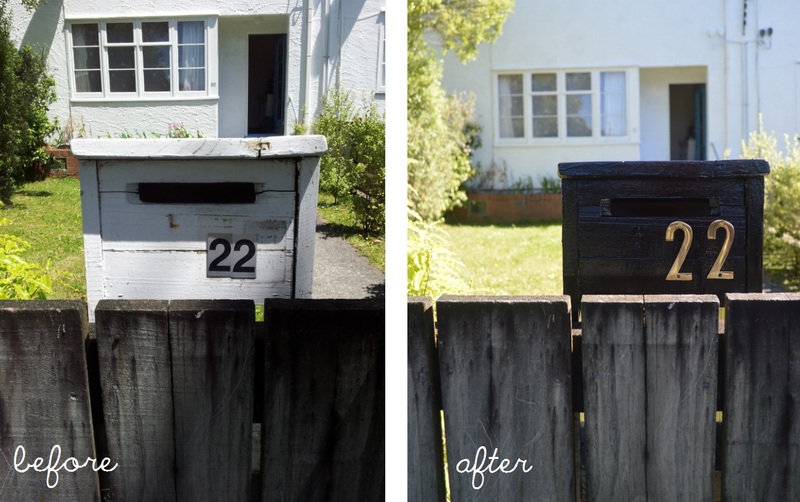 Anyhow, LOVE the mailbox transformation-- it looks a million times better! Just found your blog through Michaela Noelle. 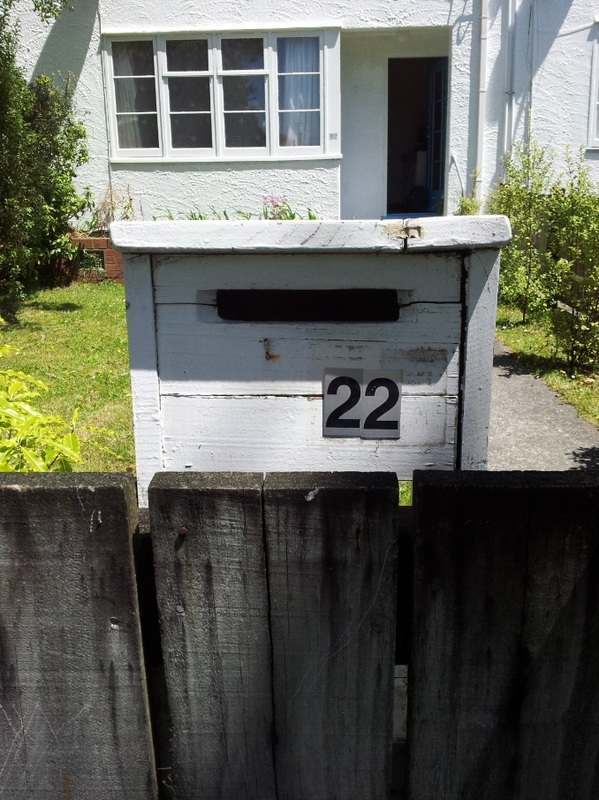 Love what you did with your letterbox! What a cute letterbox you have. 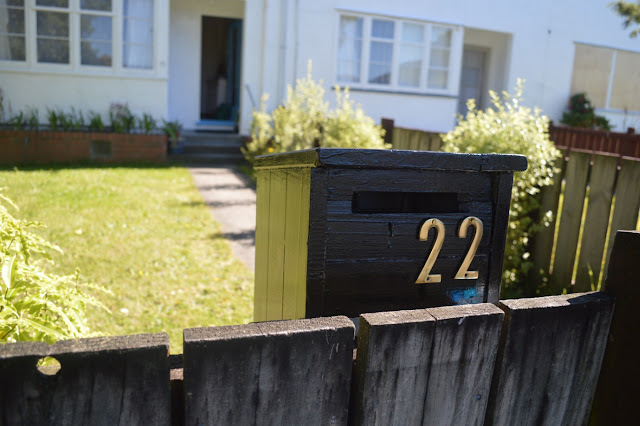 It is so interesting to see little details that are different in othere parts of the world. I'd absolutley do a high gloss black door. With your white though, I'd totally do a pop of color. Like a fun pink door, or Navy. Where I live we have crazy rules and I'm not allowed to change the color.